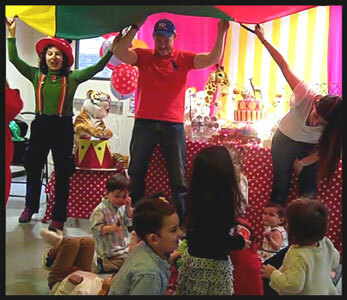 Toddler Jubilee Show is birthday party entertainment for 3 year olds with music, props, puppet, bubbles, sing-along, dancing, parachute. 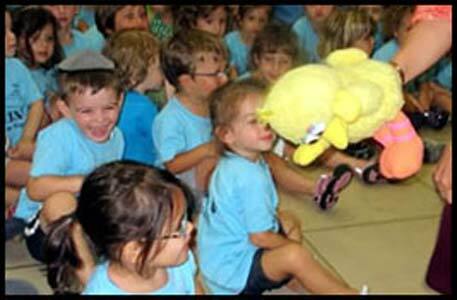 Lots of kids participation. 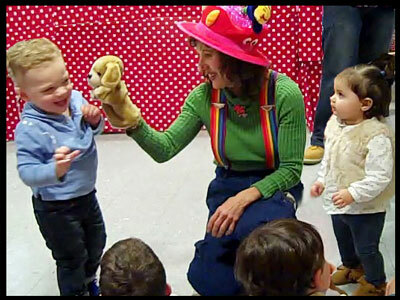 Toddler Funtime Show is geared for 2 year olds, with opening number to music using visual props, sing-along, puppet, bubbles, simple dancing. 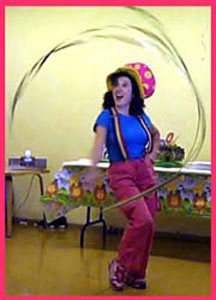 Very interactive. 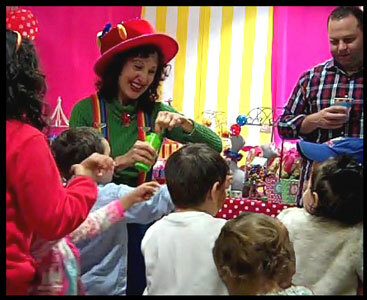 Teeny Toddler Show has visually stimulating opening number to music with props, simple sing-along, puppet, bubbles, props, dancing, kids participation. 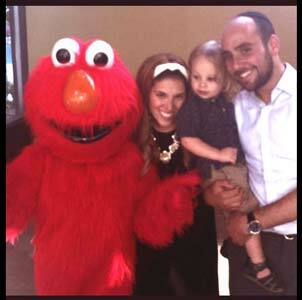 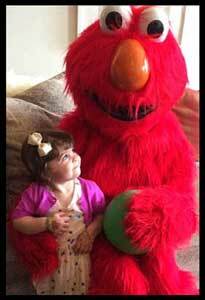 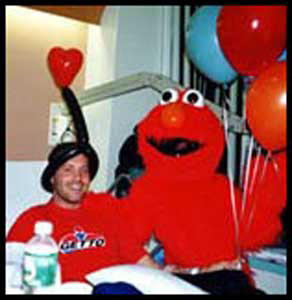 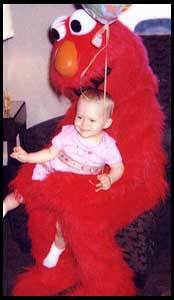 Elmo character is very popular at kids birthday parties. 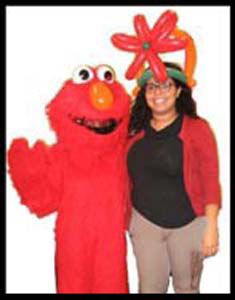 Elmo dances with kids, followed by photos with each child and group photos. 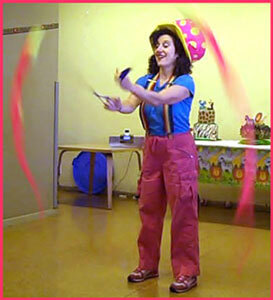 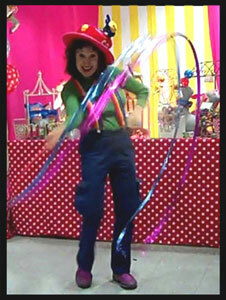 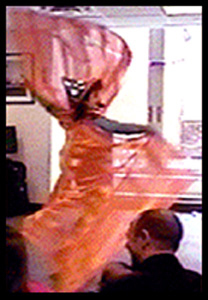 Great birthday party entertainment for children ages 1, 2, 3 years old in NYC, NJ, CT.